BlossomCo make collars and leads which are distinctive. seen wearing while out and about. 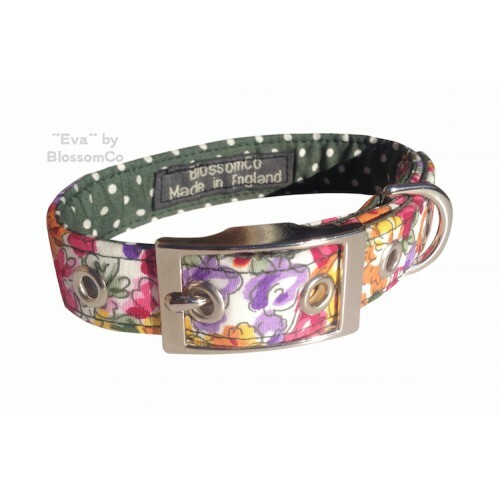 their handmade dog collars and leads using unusual and gorgeous fabrics in great combinations and with high quality fittings. BlossomCo dog leads and collars make a great gift for a dog loving friend or as a treat for your own pooch. Lead length approx 1 metre.